I gather a circle of stones. I am grateful to live in a place of natural abundance. 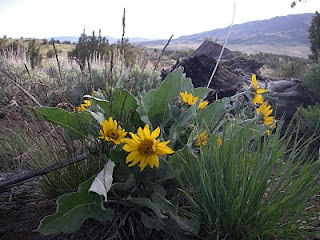 At least a dozen species of wildflowers greet me during each walk. I’ve also grown in the habit of noticing the plentiful, powerful minerals that grace this place – quartz, obsidian, jade and others I cannot begin to name. Today I notice a freshly burrowed hole on the crest of a hill. 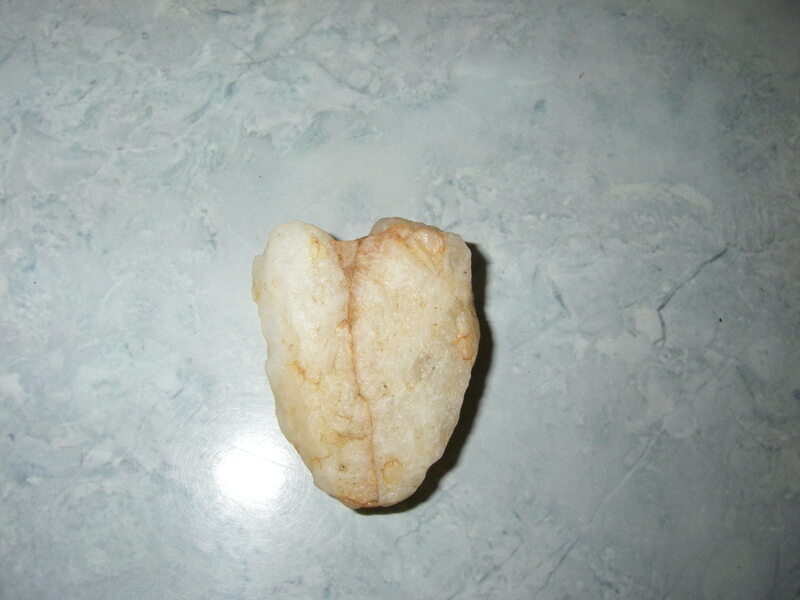 A heart-shaped chalcedony lay kicked out by the new residents, an offering to me, a treasure. The heart appears nearly quartz-like, pristine white with a red slash from top to bottom down the middle as if to signify the two ventricles of a heart coming together in union. Feeling the hard, cool stone in my hand, my life begins to synergize into a whole I haven’t felt in several days of witnessing the earth’s and ocean’s chaotic attempts at healing. I feel a flood of creativity enter into my heart and mind in a way that feels completely integrative. I gather a circle of stones. They nurture me, inspire me, and feed my creativity. They call to me in my sleep, in my dreams, away from living slumber and into life – awakening! What new ritual calls to you? What would your heart like to create? to integrate? This entry was posted in Abundance Consciousness, Spirituality and tagged ceremony, crystals, ritual. Bookmark the permalink.